There are many reasons why you may require the help of a Specialist Mortgage Adviser. Applying to lenders ‘randomly’ can damage your credit file further and reduce your chances of success. An Adviser with specialism in this error will be able to identify and recommend an appropriate lender and ensure that your application has the best chance of success before an application is even made. Because we operate with a panel of lenders it also means that we can access a range of lenders and products and avoid the need for you to attend any personal interviews with the lender. With The Select Partnership the whole process is managed for you. Click on the links below to read more about the issues or circumstances that may apply to you. A County Court Judgement (CCJ) is a ruling issued by a County or higher Court which relates to bad debt. This judgement is against an individual, will show up on their credit record and may affect their ability to get a mortgage from most high street lenders. Generally a default will have been registered if you have failed to maintain your payments on a credit card, loan or bill. You may have completed your Individual Voluntary Arrangement (IVA), currently be in an IVA or might be thinking of entering into an IVA, whatever your circumstances, we can help find the solution for you. Mortgages for self-employed people or individuals who run their own business are often treated differently because lenders have very different ways of assessing their income. If you are a discharged bankrupt / ex-bankrupt, the high street or traditional lenders are unlikely to offer you a mortgage. You will probably need the help of a Specialist Mortgage Adviser. There are many reasons why a mortgage lender or loan provider might have refused your application. Lenders have very different criteria and if you have been refused before you may need an expert Mortgage Adviser to help you. Often as a result of a change in circumstances such as loss of income, divorce or separation, people may have difficulty paying their mortgage and suffer from mortgage arrears. If this applies to you, you may need the help of a Specialist Mortgage Adviser to help you back onto the property ladder. If you have suffered from having a home repossessed but want to get back on the housing ladder you may need our help. All of the lenders on our panel are expected to maintain a Responsible Lending Policy. You can also visit: National Debtline’s website. You can also visit: Citizens Advice Bureau Or the Consumer Credit Counselling Service. Contact us today, free on 0800 012 9995 to talk to a Specialist Mortgage Adviser. 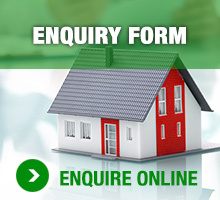 Alternatively you can enquire online for free using our enquiry form or email us by clicking the box opposite.